New Orleans Mayor Mitch Landrieu will deliver opening remarks at tomorrow’s Inaugural “GREEN MATTERS Conference: Green Cities, Business and Beyond” at the Westin New Orleans Canal Place Hotel, October 13-15, 2010. Executives from IBM, DuPont, and Johnson Controls, Inc., among others, will share corporate sustainability strategies that are changing the way America does business. Supporting sponsors of the conference include the Tulane School of Architecture and Global Green. For media related inquiries contact Kathleen Lunn, Conference Organizer, at 610.772.1063. For more information on the conference check out the conference website: www.greenlegalmatters.com. For months, we’ve been blogging, Tweeting, and Facebooking about the latest news in the green industry, from landmark legislation to emerging green technologies. Sustainable development is the future for our businesses and infrastructure. That much we already know. The goal of this conference is to give you insight into where the green industry goes from here. Congressman Dwight Evans will speak at the conference and tell you how the federal government will support the green industry with new regulations and laws. USGBC member Susan Dorn will speak about how new building codes and design can help business and government reduce its environmental impact and save businesses and taxpayers money. This conference will provide valuable networking and educational opportunities along with dynamic keynote speakers and exhibits showcasing key New Orleans recovery projects. There is no better time to discuss the importance of sustainable building and business practices, clean energy technologies and green legal issues than now. There is no more appropriate city in which to host this event than New Orleans. The Green Legal Matters: Green Cities, Business and Beyond Conference will be held at the Westin New Orleans Canal Place Hotel, Wednesday, October 13 through Friday, October 15, 2010. For registration and detailed information, please visit www.greenlegalmatters.com. The FTC proposed revisions to the green guides, which advertisers use as guidance for interpreting and substantiating environmental marketing claims. The green guides are meant to keep advertisers from “greenwashing” consumers, or making misleading claims about the environmental benefits of a product. 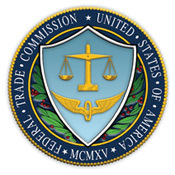 The FTC’s proposed changes would make the guides easier for advertisers to understand and use. They include new guidance on marketers’ use of product certifications and seals of approval, “renewable energy” claims, “renewable materials” claims, and “carbon offset” claims. The changes would also advise advertisers not use broad, blanket terms like “environmentally friendly” or “eco-friendly”, because such terms imply that a product has lofty, far-reaching benefits when said benefits are very difficult to prove or verify. The green guides not only tell advertisers how to qualify their claims to avoid deceiving consumers, but also how consumers are likely to interpret particular claims. For example, if a product were marketed as degradable, compostable, or “free of” a particular substance, consumers would expect that the product decompose in a relatively short amount of time. The FTC’s consumer perception research also shows that consumers interpret claims about the use of “renewable materials” or “renewable energy” different than advertisers intend. The current green guides do not address the use of these claims, the FTC will recommend advertisers be specific about the materials and energy used on their products. The FTC will also advise marketers to disclose if the emission reductions that are being offset by a consumer’s purchase will not occur within two years if a product is marketed with any carbon offset claims. It has been a busy week for the U.S. Department of the Interior. Earlier this week, Secretary of the Interior Ken Salazar approved two large-scale solar energy plants to be built on public land in California. The approval grants the U.S.-based companies access to almost 6,800 acres of public lands for 30 years. The two projects could produce up to 754 megawatts of renewable energy, or enough to power around 226,000–566,000 typical American homes. The projects will generate almost 1,000 new jobs. Also this week, Salazar signed a 28-year lease with Cape Cod Associates, who will build an offshore wind farm off the coast of Massachusetts in the Nantucket Sound; it will be the first offshore wind farm in the United States. The project is worth a total of $1 billion and has been awaiting regulatory approval for nine years. The “Cape Wind” wind farm will provide electricity to about 400,000 homes in the New England area and reduce greenhouse gas emissions by 734,000 tons per year. The federal government is beginning to make serious strides in building our future for renewable energy. Proposed legislation mandating higher fuel mileage for automobiles and increased tax incentives for renewable energy will propel the green sector even further. Obama even announced he would put solar panels on the White House, the first time since 1986. The one presentation I am most looking forward to is Susan Dorn’s “LEED From Where I Sit.” Susan is the General Counsel for the United States Green Building Council and she will have interesting thoughts on the future of LEED and the law. In addition to green building legal topics, there will be presentations about other sustainability issues, like renewable energy and greenhouse gas emissions. I am speaking on October 15 and while my topic and co-presenters are up in the air, I promise I will make it interesting and innovative. To read Cheatham’s article in its entirety, click here. We were recently featured in an article by BestOfNewOrleans.com. The article discusses how the conference was originally conceived as being strictly a legal conference for lawyers to discuss the implementation of new environmental laws, regulations, etc. Then it morphed into something much broader. It’s now something for anyone looking to learn more about the green movement, including green building design, sustainable products design, how businesses are saving money by becoming more eco-friendly, and everything you can do to reduce your impact on the environment. The Washington D.C.-based U.S. Green Building Council has set up an office here; there are green neighborhoods (the ReUse and the Green Light districts); and Lisa Jackson, administrator of the U.S. Environmental Protection Agency, is a former Pontchartrain Park resident and St. Mary’s Dominican alum. Signs point to New Orleans possibly becoming a nationwide leader for green building — but not quite yet. Of the more than 75,000 people in the U.S. who have completed LEED certification programs, the green standard for building, few are attorneys. In Louisiana, there are only four. The first track of the conference, focusing on legal issues, looks at “the new normal,” as one seminar calls it. Debbie Belletto of the New Orleans Convention Company Inc., one of the convention’s co-organizers, says addressing “green” issues and taking them beyond a meaningless buzzword is one of the hurdles companies face with sustainability. Other legal seminars at the conference address LEED certification, building codes, real estate development and liability — “Where Green Goes Wrong” explains, naturally, how do it right.